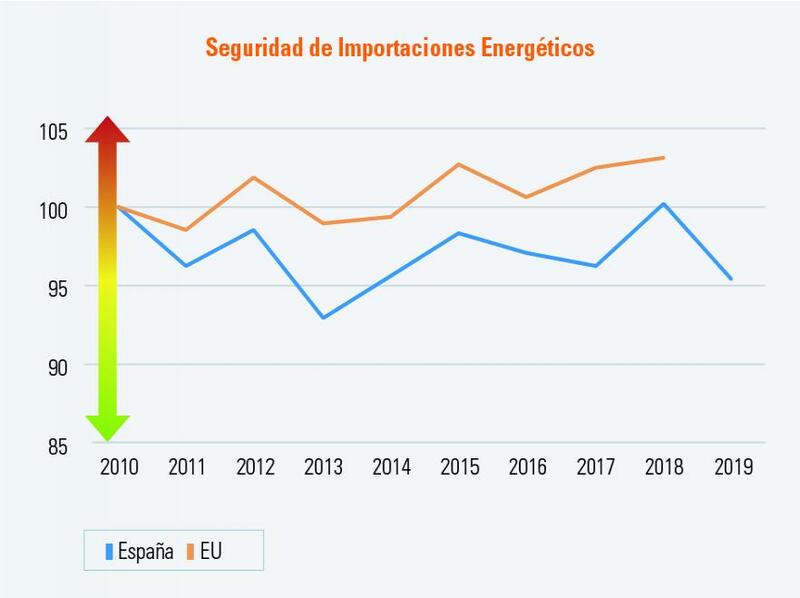 The goal of this barometer is to evaluate the progress of the energy transition in Spain in line with the three fundamental pillars of the European energy policy: Decarbonization, affordability, and security of supply. In order to do so, we selected a set of indicators which allows to evaluate the progress of the energy transition along the three pillars, and which is fed with the most recent data available. In the following the indicators for each pillar are shown. All are presented as a percentage change over the 2010 base value, except for the greenhouse gas emission values which are reported relative to 1990 (and in the graph also relative to 2005). By clicking in each value, you can access the graph with the evolution of each indicator over time since 2010. 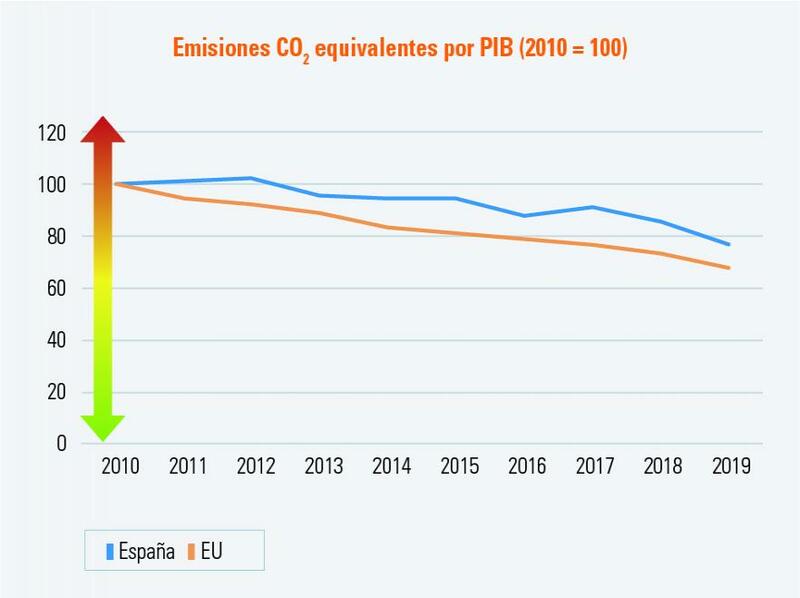 For all indicators a reduction in the value corresponds to an improvement in the corresponding area of the energy transition. 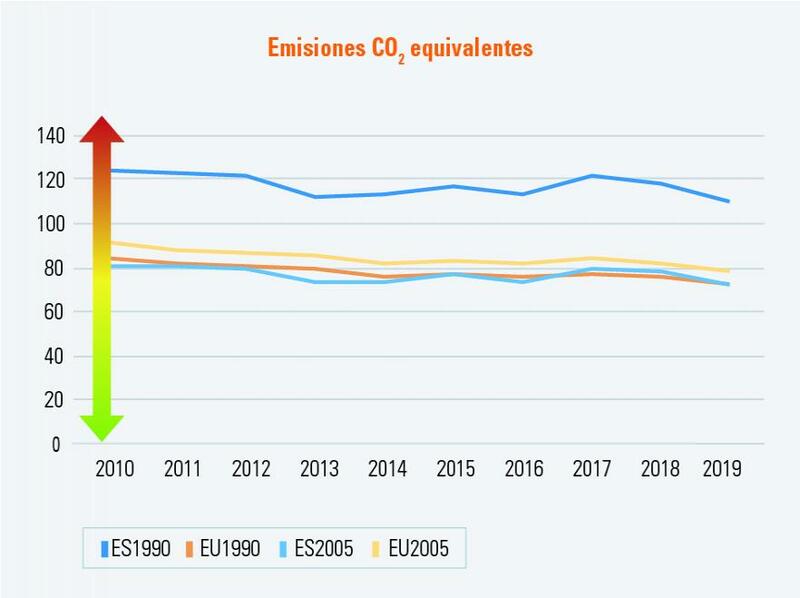 · Greenhouse gases (GHG, in CO2 eq) (Source: Eurostat). The figures show the reduction relative to 1990 values (and in the picture as well relative to 2005). These figures can than be compared to the EU targets which are also expressed relative to 1990 values. Due to publication delays of emission figures, the index for each year represents the values published until that date. Also, the figures for each year represent the progress relative to the base year, not necessarily the real emission figures for each year. 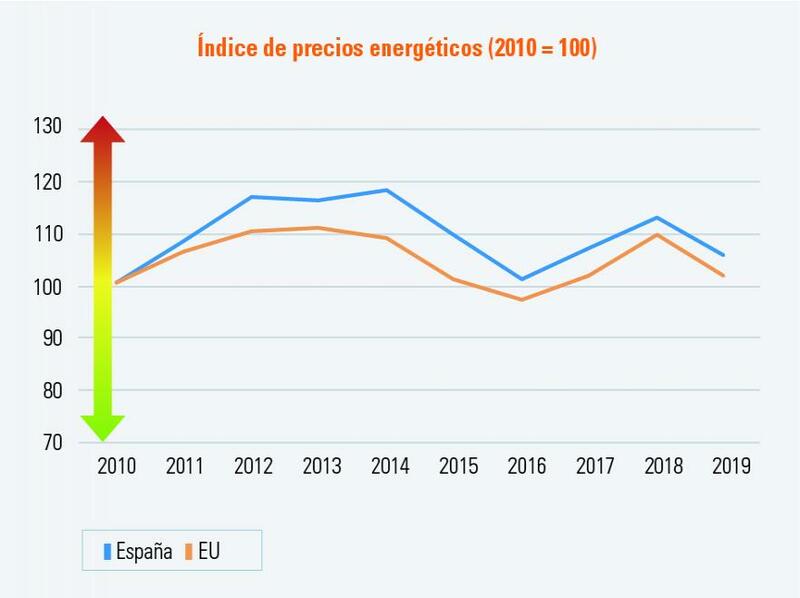 · Index of energy prices - Total Energy Price Index (Source: International Energy Agency - IEA). Available annually for gas, electricity, and liquid fuels. 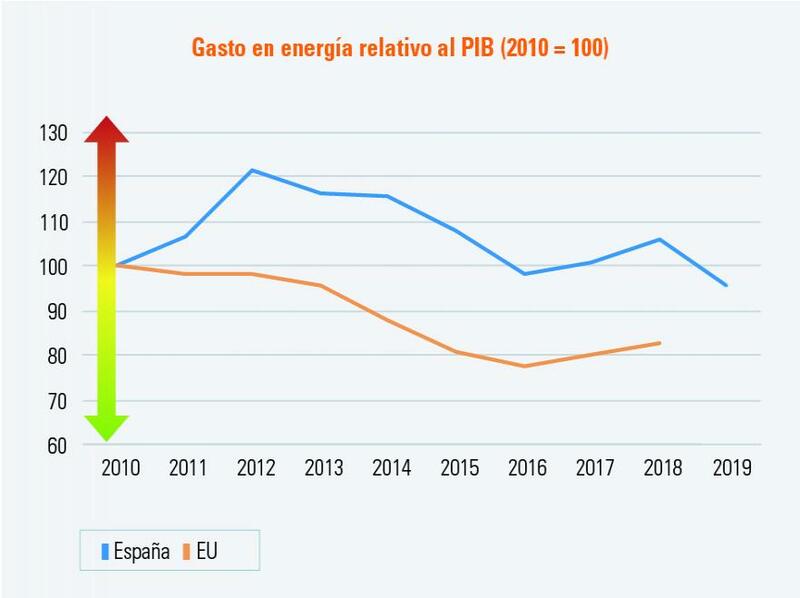 It reflects the relative energy prices in Spain and its comparison with the EU. · Final energy expenses relative to GDP ? Own calculation based on primary energy, index of energy prices, and GDP (Sources: CORES, INE, IEA). This index has been included to represent the evolution of energy consumption and the possible effect of savings. · Index for import security of natural gas, crude oil, and oil derivatives (Source: CORES, OECD). It measures the country risk of the country from which energy is imported and weighs it by the volume of imported gas, crude oil, and oil derivatives. 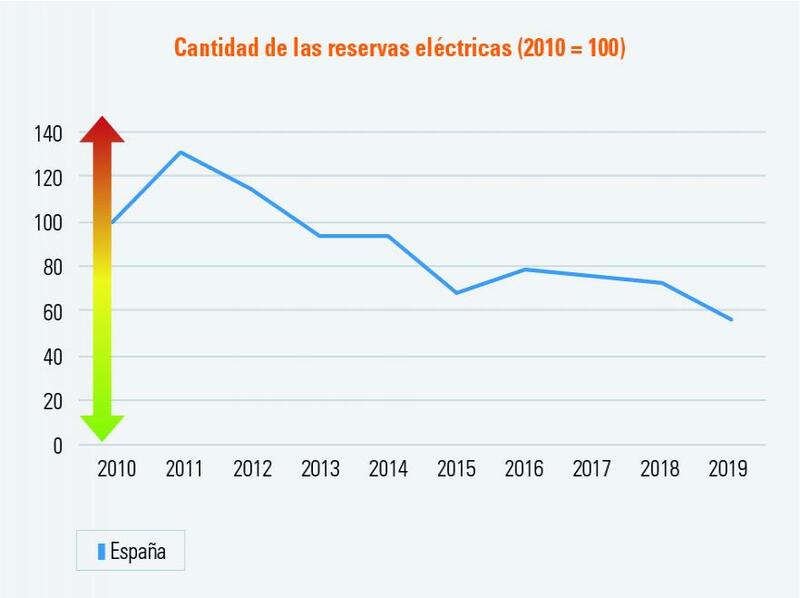 · Quantity of electricity reserves (Source: REE). The quantities of the electricity reserves are added together and divided by total electricity demand. 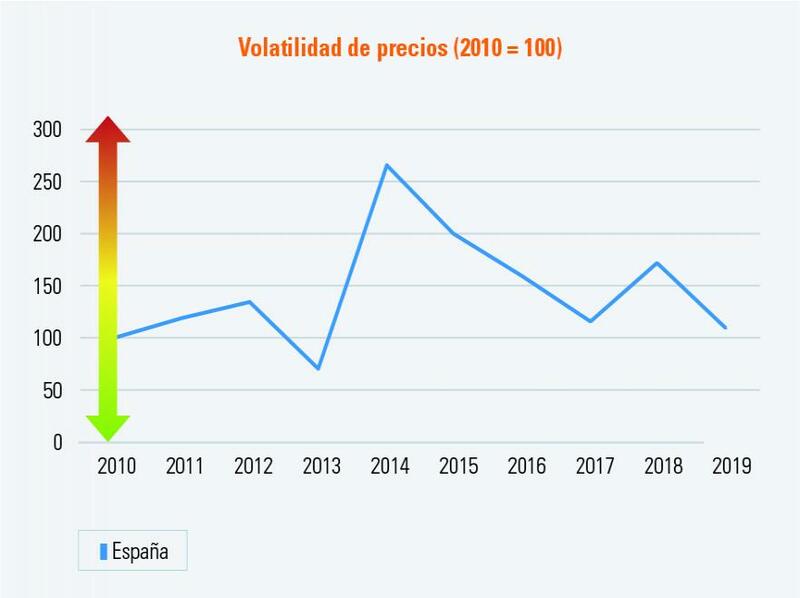 · Volatility of crude oil and natural gas prices (Source: World Bank). 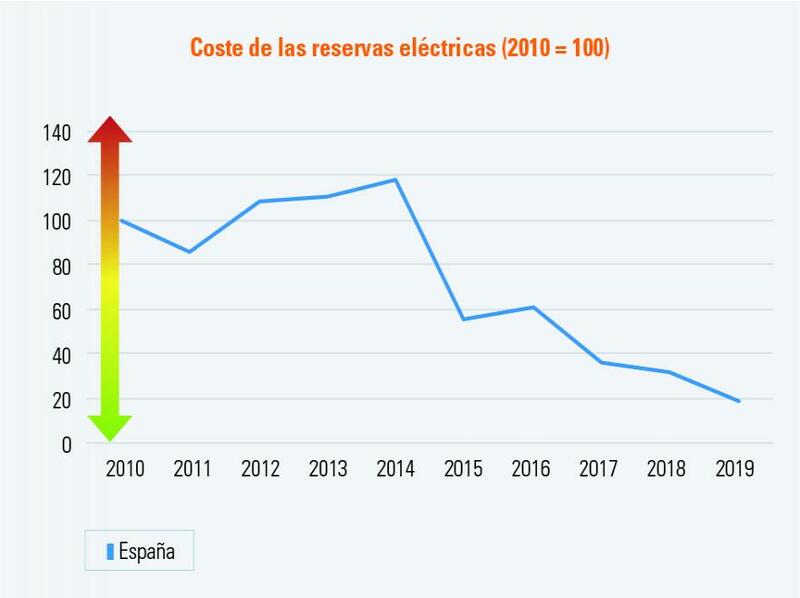 · Costs of the electricity reserves (Source: REE). First, the costs of the electricity reserves are multiplied by the quantity of the electricity reserves. Afterwards, this is divided by the total costs of the electric system.